World No. 4 Canada and No. 9 Netherlands will play each other to open the VI Women's Baseball World Cup. 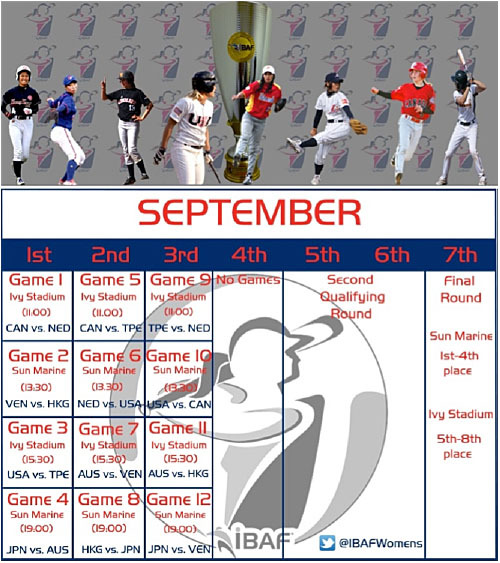 LAUSANNE, Switzerland -- The schedule of the three-day, twelve-match opening round of the VI Women's Baseball World Cup in Miyazaki, Japan, has been reveavled by Baseball World Cup officials in the Olympic Capital city.